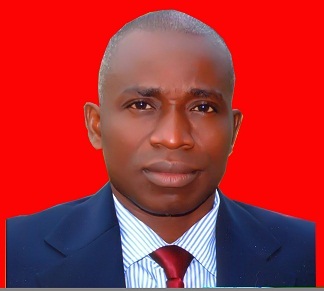 Dr. KAYODE, Rowland M.O. was born at Aduratedo-Bunu, Kabba/Bunu Local Government Area of Kogi State. He had his primary education at Oyi Local Government Primary School, Odo-Ape and secondary education at Government Secondary School, Koton-Karfe. He had Ordinary Diploma (Science Laboratory Technology), Higher National Diploma (Microbiology and Virology) and proceeded for NYSC at the Ndele camp, Port-Harcourt and University of Ilorin Teaching Hospital, Kwara State, Nigeria. He was appointed as Technologist II and then rose to the rank of Senior Technologist at the Department of Animal Production, University of Ilorin, Nigeria. He later obtained his B.Sc. (Food Science and Technology) at the Joseph Ayo Babalola University, Ikeji-Arakeji, Osun State, Post-graduate Diploma (Food and Industrial Microbiology) and M.Tech. (Food Microbiology), both at the Federal University of Technology, Akure. He bagged a Ph.D. degree in Microbiology at the University of Ilorin. Dr. Kayode is a recipient of several awards including; Postdoctoral Fellowship Award to the University of Fort Hare, South Africa. British Council Research Link Travel Grant Award to the University of Nottingham, United Kingdom. Pillars of Nation Building Award by the Strategic Institute for Natural Resources and Human Development, Nigeria. He was appointment into the Lecturer Cadre at the University of Ilorin in 2008, and presently a Senior Lecturer and Acting Head, Department of Home Economics and Food Science, Faculty of Agriculture, University of Ilorin. He has attended several international and local conferences, workshops, seminars and training. He is happily married to Mrs. Rebecca Omotayo Kayode with four godly children.